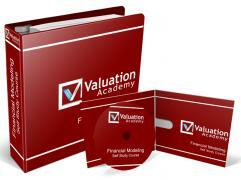 The first step in the valuation process is to understand the industry in which the subject company operates. Sometimes it is obvious what industry the company operates in (e.g. a restaurant) and sometimes it is not so obvious (e.g. a headhunting firm). For example, the key to understanding the headhunting industry would involve the identification and analysis of the segments served by the industry. For example, major segments of the headhunting industry would be the tech industry, the medical industry and the accounting or finance industry. Each of these segments is an industry of its own and has its own value drivers and competitive pressures, making the headhunting industry difficult to forecast. After identifying the industry, the analyst must identify the macroeconomic factors that affect the industry, and ultimately the subject company. For example, in the most recent recession, for-profit universities such as DeVry, Inc. (NYSE:DV) have outperformed most other industries. Upon further analysis, one can see that the increase in the unemployment rate drove recently laid-off workers back to school. In this case the unemployment rate was one of the factors of growth for DeVry, Inc.
After the industry is identified and the macroeconomic forces are considered, the analyst must complete an industry analysis to identify the effect of industry forces on the subject company. The two analyses most commonly used frameworks are the SWOT analysis and Michael Porter’s Five Forces. What is the Enterprise Value (EV)? What is the Market Value of Invested Capital (MVIC)?